A large cockatoo which is native to south-east Australia is the Yellow-tailed Black Cockatoo. This bird was first described by George Shaw in 1794, and its specific name is related to the its dark and sombre plumage as if one was dressed for a funeral. In fact, the famous Orinthologist, John Gould, referred to this bird as the Funeral Cockatoo. 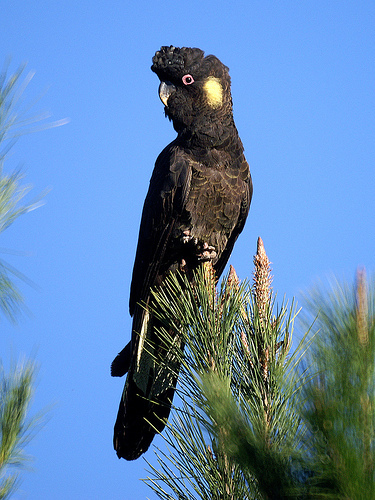 Other common names for the Yellow-tailed Black Cockatoo are Yellow-eared Black Cockatoo, and it’s Indigenous Australian name, Wylah. C. f. funereus – also known as the Eastern Yellow-tailed Black Cockatoo. This is the nominate form which is found from the Berserker Range in Central Queensland down to eastern Victoria. 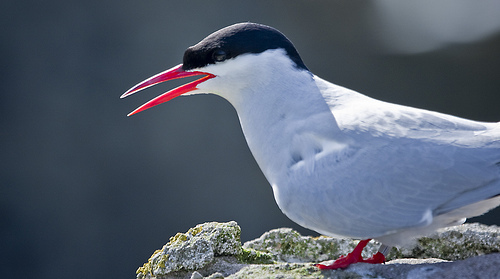 It is larger, has a longer tail, longer wings, larger claws, and a larger bill compared to its relative. C. f. xanthanotus – also known as the Southern Yellow-tailed Black Cockatoo. 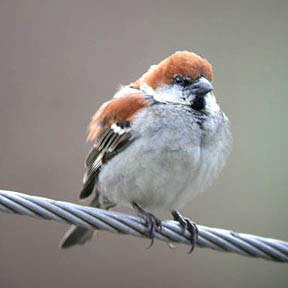 This bird is found in western Victoria, south-eastern South Australia, and down to the islands of Bass Strait as well as Tasmania. Gould first scientifically described this bird in 1838. 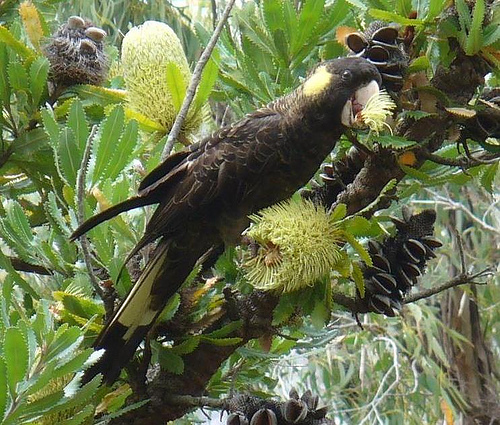 Unlike other cockatoos, a large proportion of the Yellow-tailed Black Cockatoo’s diet is made up of wood-boring grubs. They also consume seeds. Their nests are in tree hollows. They are common throughout its range, however its population has declined due to the fragmentation of its habitat and the loss of large trees. However, some Yellow-tailed Black Cockatoo have adapted to human-life and can often be seen in urban Melbourne and Sydney. It is not commonly seen in aviculture outside of Australia. Like most parrots, CITES protects this bird through an international agreement which makes trade, import, and export of this animal illegal.